Weight loss Program Steps : Digital and print ads bombard us with claims promising success and messages that sound too good to be true, leaving some doctors scratching their heads. So how do you find a healthy program that works? About 1 in 4 Americans are trying to shed some serious pounds. But exploring the world of weight loss programs can be tricky.It’s tough to do, a new study in the journal Obesity says. But it’s not impossible. Gudzune and her colleagues reviewed web sites for nearly 200 weight loss programs in the D.C., Maryland, and Virginia areas. They included national ones like Weight Watchers and Jenny Craig, independent operators, and those supervised by doctors or offered by weight-loss surgery centers. The researchers checked to see if the programs followed medical weight loss guidelines from the American Heart Association, American College of Cardiology, and The Obesity Society. They looked at five key areas: level of support, the diet plan, behavior strategies, exercise, and whether it recommended supplements that weren’t FDA-approved for weight loss. Weight Watchers also consistently gets high marks from the U.S. News & World Reportannual list of best diets. Finding a reliable weight loss program is important. More than a third of people in the U.S. are considered obese. And it’s not just adults. The CDC says 1 in 6 kids are dealing with the condition, too. Weighing too much puts you at risk for many serious health problems, including diabetes and heart disease. “Eat less and exercise more” has always been the golden rule for dropping pounds. But how do you really accomplish that? Here are the five must-haves in a weight loss program, according to the researchers at Johns Hopkins. 1) Plenty of interaction and support. You want ongoing contact with the program’s support team. Researchers recommend at least 14 sessions over 6 months. This might be in person or by phone or email. “Support is so critical in helping people through the weight loss process,” Gudzune says. 2) Diet changes that are backed by science. “Things like the Paleo diet are very hot right now but haven’t been studied with their effects on weight loss,” Gudzune says. You want an approach that has solid evidence to support it works. This might be a low-calorie eating plan or meal replacements, or a well-studied diet for weight loss, like Atkins, she says. 3) Exercise encouragement. Opt for a program with some type of plan to get you moving more. The U.S. Department of Health and Human Services guidelines recommend 150 minutes of moderate activity (like walking) each week. You can divvy that up however you like. Keep in mind that exercise is key if you want to stay at your lighter weight once you’ve dropped pounds, but doctors say it’s hard to lose weight with just exercise alone. 4) Behavior strategies. Your program should encourage things like weighing yourself, meal planning, or tracking your food or exercise. 5) Approved meds only. Steer clear of programs that push fat burners or other supplements that aren’t FDA-approved for weight loss. The FDA offers a list of dangerous weight loss products. You can sign up for email alerts, too. 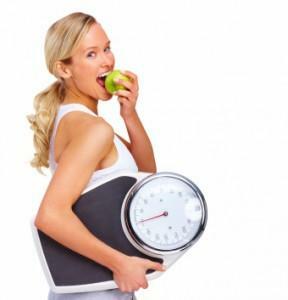 Local affiliates of national weight loss programs might not offer all five of the recommended basic things, but some do come close. A spokeswoman for Nutrisystem says their program meets 4 out of the 5 criteria listed in the newObesity study. It doesn’t offer the recommended amount of contact (14 sessions in 6 months). But the company says it offers unlimited counseling anywhere there is Internet access. Lisa Talamini, RD, senior science expert for Jenny Craig, says the company is “pleased” the study was done and that the company meets its criteria. The research “identifies the need for more reliable information” to help doctors point their patients to effective weight loss programs, Talamini says. Last year, a study in the Annals of Internal Medicine recognized Jenny Craig as one of the most effective weight loss programs available.